At Mountain Lotus our aim is to provide natural products using the highest quality ingredients to promote wellbeing and vitality. We primarily source our ingredients locally from the mountains of New England High Country and from other parts of Australia. We take time to ensure each of these are of exceptional quality, ethically produced and contain with no hidden nasties. Our herbs are infused into coconut, hemp, olive or almond based oils, and then combined with rich essential oils, gentle flower essences, vitamins and natural beeswax. Natural provenance is highly important to us, as is the process – from the fields to the final product, we believe in our products. We make each product entirely by hand, every step of the way. From infusing herbs for long periods of time, to hand pouring each container and allowing it to set naturally, we believe in the power of something being truely hand made. 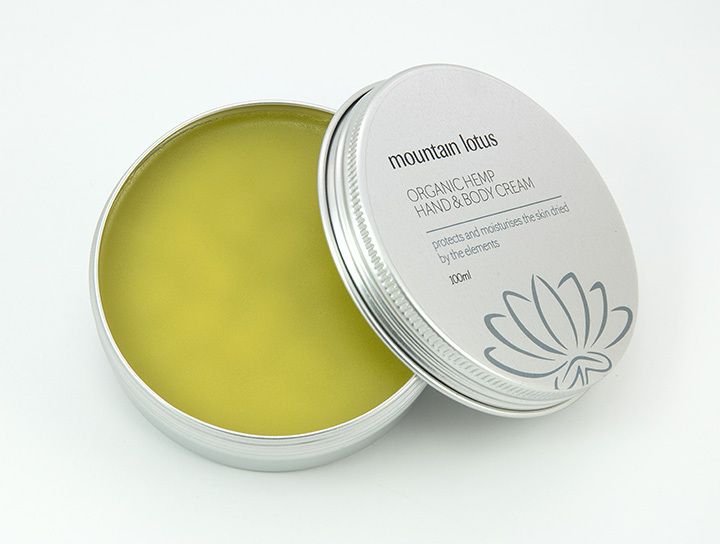 Mountain Lotus products soothe and moisturise the skin, restoring vibrancy and balance. Our unique blends calm the emotions and revitalise the spirit. We hope you’ll love our organic skin care range as much as we’ve loved making them. This 100% pure, organic hemp hand and body cream is a soothing and nourishing mix of organic hemp, coconut and olive oil, protects the skin dried by the elements.